Speaking during Arsenal’s pre-season tour of Malaysia, Petr Cech has shared some of his first impressions on his new teammates. The Czech Republic legend has also backed the Gunners to mount a title challenge this season, while also admitting his desire to beat his former club Chelsea in the Community Shield match on August 2nd. The keeper ended his 11-year stay at Stamford Bridge earlier this summer when he moved across London in an £11 million deal [Standard]. The veteran had found playing time hard to come by at Chelsea following the arrival of Thibaut Courtois, and had pressed for a move away from his former employers in order to enjoy regular action once again [Daily Mail]. He ultimately moved to Arsenal and should prove to be a valuable option following the mixed showings of David Ospina and AS Roma-bound Wojciech Szczesny last season [Sky Sports]. Speaking to The Times, Cech has discussed his first impressions of his new teammates and tipped the Gunners to compete for the Premier League title next term. The keeper also looked ahead to the upcoming exhibition match against Chelsea at Wembley, where Cech will likely come up against his former employers, surely with a point to prove to Pensioners boss Jose Mourinho. 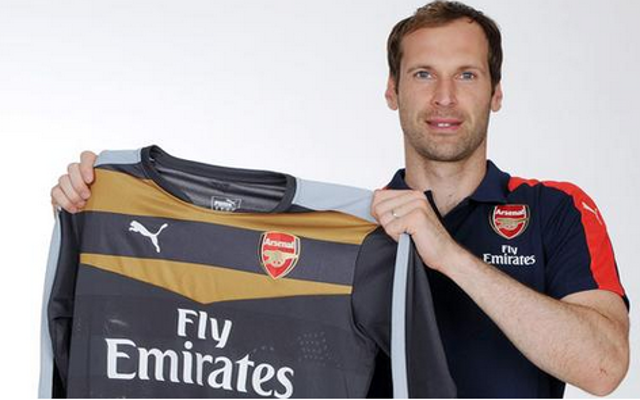 “I hope to be on the winning side again, it’s as simple as that,” Cech continued. “I play football to win games and obviously I will be facing Chelsea soon, so I want to beat them. There are a lot of things in common between the two clubs. Cech arrived at Arsenal as one of the most decorated players ever to sign for the club, having secured four Premier League titles, four FA Cups, three League Cups, two Community Shields and both the Champions League and the Europa League during his time in West London.